The map is a web-based instrument that helps you as civil society or governmental actor to make sufficiency politics reality. The map allows yout to manage the complexity of the topic, to develop your own strategies, initiatives or projects and to communicate in a clear way. Sufficiency is concerned with the pursuit of the good life, with a reduced use of resources. The slogan »simplify your life« concisely captures both the spirit and the potential of this approach. Unfortunately, we have to acknowledge that there are still many obstacles to living sustainable lifestyles, a a ›glass wall‹ constrains our actions. We can change that. The book »Politics of Sufficiency« by Zahrnt & Schneidewind (2013) has shown how political conditions can facilitate the good life. This website takes one step further: according to the principle »simplify political activism«, we have transposed the complex field of sufficiency politics into a digital strategy map. Every step of sufficiency politics is explained, made tangible and illustrated with practical examples. Additionally, you will find tips and arguments to help you create rich images and lay a basis of useful facts for your conversations about sufficiency and sufficiency politics. This approach, as well as the current status of sufficiency politics is also described (in German) in the latest issue of ÖkologischesWirtschaften. Who can use the map? Our target group are organisations and individuals in civil society, politics, and economy who are familiar with the topic and want to improve their communication or develop and implement sufficiency strategies, initiatives or projects. However, anyone novice interested in sufficiency politics can use the map as an intuitive tool to explore the topic. The areas »Analysis«, »Future« and »Communication« constitute a knowledge framework which helps different actors to create a common image and language. Building on this, the area »Political Strategies« can be used to kick off the development of your own strategy with the help of guiding questions and hints. It is the authors’ wish for the core understanding of sufficiency politics remain intact regardless of the plethora of approaches and projects based on it. A common strategic frame and improved coordination between different actors can enhance the impact of sufficiency politics. Dr Dominik Zahrnt (author), founder of the strategy and communications consultancy (r)evolutionary ideas, has developed the tool of the strategy map. Dominik advises organisations, amongst other subjects, on sufficiency politics. Together with TOLK he implemented the website. Prof Dr Angelika Zahrnt (author), Honorary President of the BUND and Fellow of the Institute for Ecological Economy Research (IÖW), is responsible for the content of the website. The Institute for Ecological Economy Research (IÖW) has accompanied the development of the map. The online-version has been supported by a grant of the Berliner Senatsverwaltung für Wirtschaft, Technologie und Forschung. Throughout the process, we have consulted activists working on sufficiency politics to understand the challenges, develop solutions and to design the map. The English translation has been carried out by Caspar Kolster, (r)evolutionary ideas, und Ray Cunningham, Anglo-German Academic Communication Services. Thanks to all of these contributors! It is now clearer than ever that the perpetuation of the industrial development model and its adoption by developing and emerging economies is ecologically nonviable. Sustainable development can only unfold within the planetary limits. Respect for these limits has to have a higher priority than economic growth. This is particularly true for industrialised nations. The three-pillar model of equality between economic, social and ecological interests blurs this conflict just as much as the notion of sustainable growth. Alternative concepts of economic development are needed, that are not based on growth. Most prominent among them are de-growth and post-growth. 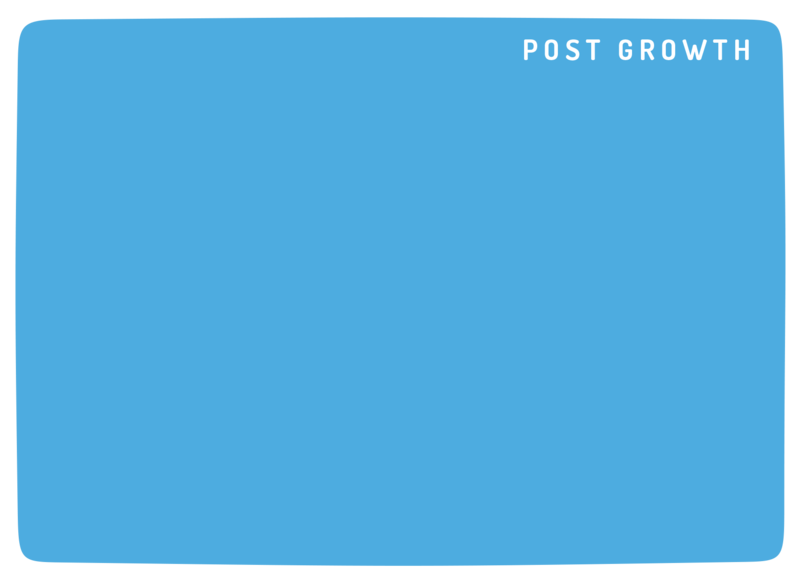 A post-growth society is no longer dependent on economic growth. Growth is no longer a paradigm nor an end in itself. Economy and society develop within the ecological boundaries. Resource and environmental consumption are reduced to a level that is sustainable in the long term and gives the countries of the the global south a fair chance of development. To reach independence and liberation from economic growth, the economic and social structures and institutions have to be reformed. At the same time, a cultural shift must take place to reorient our society away from the logic of »more, faster, further« to a right measure of what is enough, in short, sufficiency. Respect for the eclogical boundaries is of central importance to the concept of post-growth. Although a reduction in economic output is not necessarily a goal, its is possible or even likely. The de-growth movement in contrast, aims for a reduction in economic output in the global north to transition to a globally fair, but lower and ecologically sustainable standard. At the core of this approach is the perception of capitalism as both the driver of the growth paradigm and the root cause of many global problems. 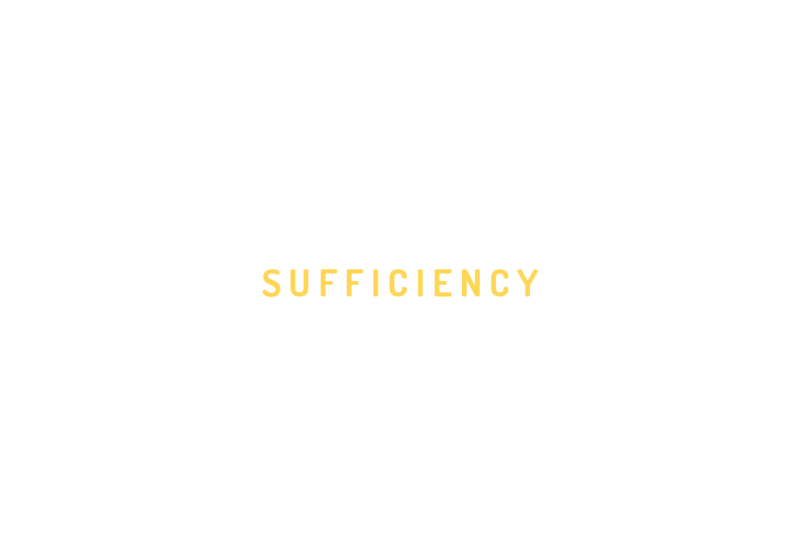 The term »sufficiency« has its roots in the Latin word »sufficere«, meaning »to be enough«. Sufficiency is about establishing what is the right measure and a good life, both for me and as an individual with global responsibility. So far, sufficiency has often been regarded as an individual endeavour, a personal moral decisionl. To date, many individuals are trying to live sufficient lives, and advertise this lifestyle in groups such as the initiative »anders besser leben« (live better differently) or volunteer in repair cafés or urban gardens. All of these approaches are united by the wish to reduce one’s own ecological footprint, and improve one’s own quality of life by reducing resource use. Sufficiency takes many forms. Individual approaches are important, but their success is limited. Individual action is always embedded in an institutional and societal context. Sufficiency politics aims at reshaping this context so as to make it easier to live sufficient lives. Only then will sufficient lifestyles become more common and contribute to a reduction of environmental and resource consumption. At the heart of sufficiency politics are sustainability strategies. All strategies for sustainability are – to varying degrees – based on the principles of efficiency, consistency, sufficiency. While efficiency aims at reducing resource use through technological advances, consistency is concerned with a return to natural cycles, for instance through renewable energy or biodegradable resources. Sufficiency, on the other hand, regards needs and lifestyles. It is about reduction and new ways to live fulfilled lives with fewer resources. Political measures can promote efficiency, consistency, as well as sufficiency. So far, initiatives concerning efficiency (e.g. economical engines) or consistency (e.g. renewable energy in electric mobility) have been dominating relevant policy areas, most notably, traffic policy. Political support for urban concepts benefitting cycilsts or new concepts for mobility and coverage in rural areas on the other hand, has been scarce. One of the reasons why sufficiency is hardly acknowledged as a strategy, and supported accordingly from the political level, is that individual behaviour is mostly regarded as a private matter. Another reason is that measures supporting efficiency and consistency are regarded to be growth-inducing, whereas sufficiency is considered as damaging to growth. 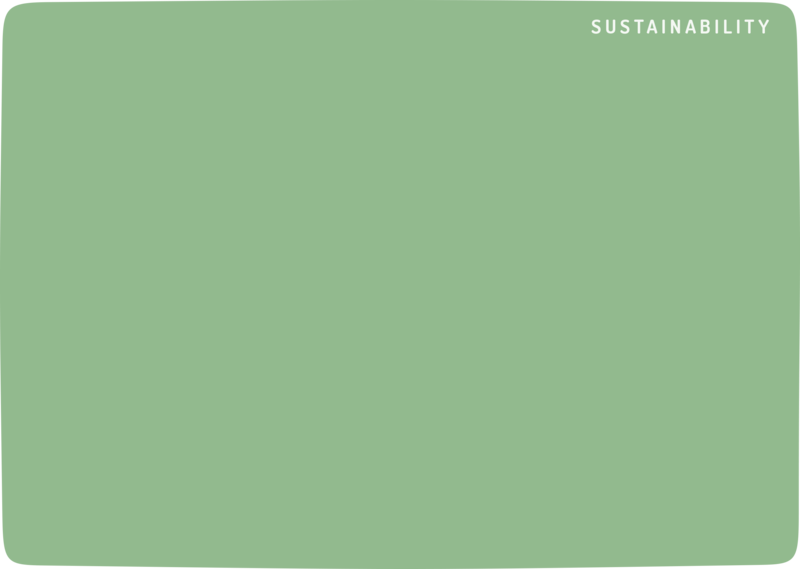 However, it is becoming increasingly clear that efficiency and consistency are insufficient as strategies for reaching the sustainability goals. Strategies for sustainability should embrace all three principles and be more creative, consequent, and daring in implementing sufficiency politics. 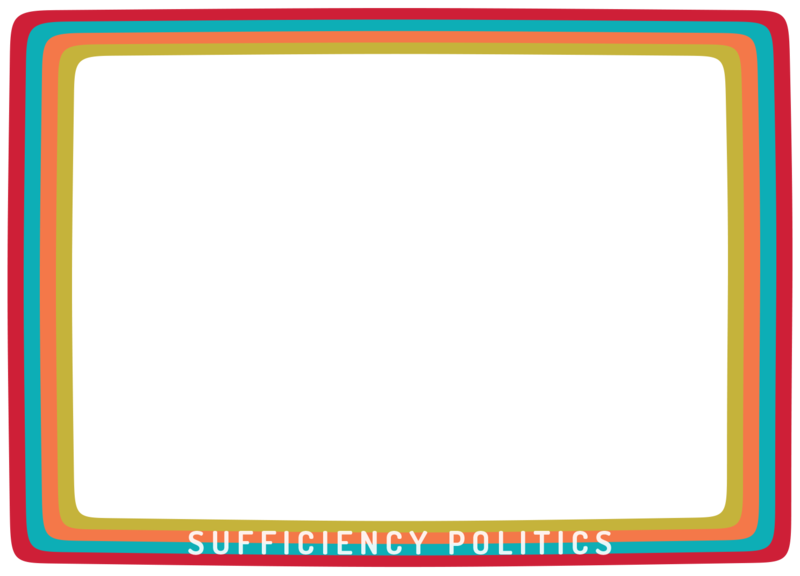 The sufficiency politics map is meant to inspire and accompany political actors on this path.